*Module 2 is a prerequisite to Module 3.
WHO CAN TAKE THIS COURSE? Module 3 is open to health-care professionals with at least bachelor level equivalent college/university degrees in occupational therapy, speech pathology, physical therapy, psychology, and medicine. For International locations, please click here. SCHEDULE: Click here to view a sample schedule. Identify whether an evaluation report meets the standard for structural elements on ASI Intervention Fidelity Measure. Module 3 will provide 30 hours of training including the assignments. CLASI is an approved provider of continuing education units (CEU) by the American Occupational Therapy Association. M3 is also approved for CEUs by the California Physical Therapy Association. The following AOTA CE Classification Code applies to M3: Occupational Therapy Practice. Cancellation Policy: A full refund will be made for cancellations made 30 days before the onsite course date. 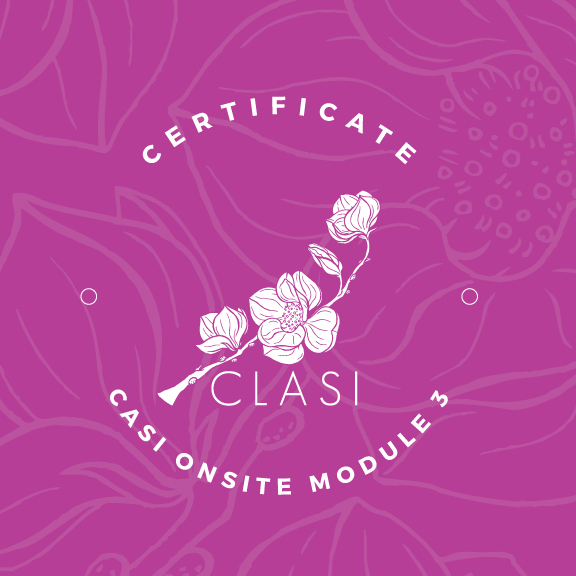 Cancellations received less than 30 days before the course start day will receive a credit towards another CLASI course.